Choose one of these old fashioned lemon cake recipes and make a homemade cake that's really special. You'll discover a wonderful variety here from traditional layer cakes to jelly, cream, and sponge cakes, all bursting with the delectably fresh taste of lemon. Take pride in serving these amazing dessert cakes from Grandma's day to your family and friends. Add 2-layer lemon cake mix to mixing bowl. Also add 3-ounce package of lemon Jello, 3/4 cup water, 3/4 cup salad oil (or 3/4 cup butter), 4 eggs. Beat at medium speed for 4 minutes and put in a greased 9x13-inch pan. Bake for 35 minutes at 350°F. 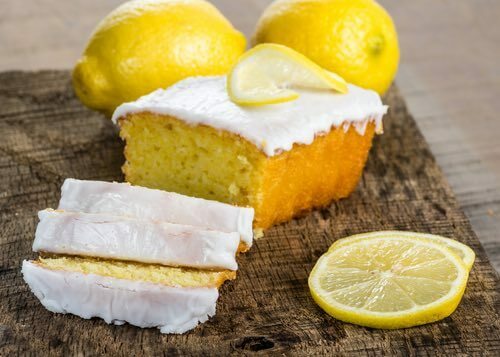 Remove from oven and while cake is still hot, prick with a fork all over, and pour on icing made of: juice of 2 lemons and 2 cups of icing sugar. Let cool before serving. Mix as usual, sifting the baking powder and flour together before adding. Add the eggs last of all, the whites and yolks beaten separately. Bake in layers, and spread with your favorite filling. Aunt Babette was famous for publishing only the best cake recipes, and this one has delighted families for generations. Rub to a cream one cup of butter with three cups of pulverized sugar and add gradually the yolks of five eggs, one at a time, and one cup of sweet milk. Sift four cups of flour with two teaspoonfuls of baking powder, add alternately with the milk and the stiff-beaten whites of five eggs. Add the grated peel of one lemon and the juice of two. This is a delicious cake. Butter, 1 cup; sugar, 3 cups; 5 eggs; flour, 4 cups; sour milk, 1 cup; soda, 1 teaspoonful; the juice and grated yellow (the white has a bitter taste) of one lemon. Directions: Study well the general Remarks [below], also the making-up, or putting together, and you will then be prepared to proceed with the work of cake making. Remarks. 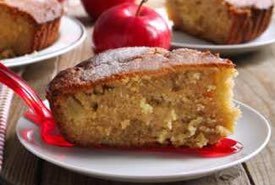 —In making cake, double the amount, or only half may be used, to suit the size of the family. But in taking half, if 5 eggs are called for, always use 3 in the reduction, as eggs are absolutely necessary to maintain the lightness of the cake. Butter, 1/2 cup; sugar, 1-1/2 cups; milk, 1/2 cup; 3 eggs; flour, 2 cups; baking powder, 1-1/2 teaspoonfuls; 1 lemon; water, 1/2 cup. Directions: Cream the butter with 1 cup of the sugar, stirring in the beaten whites of the eggs, and the milk; then sifting in the flour in which the baking powder was mixed, and bake in jelly cake tins. To the beaten yolks of the eggs add the other 1/2 cup of sugar, and the water, and juice of the lemon, and boil till thick enough to spread between the layers. Remarks. —You will observe this cake receipt calls for baking powder, the one above for soda and lemon juice in place of cream of tartar. This enables you to choose between them, either from taste, or from having the soda and not the baking powder, or vice versa. Sugar, 3 cups; flour, 2 cups; cold water, 1/2 cup; 5 eggs; cream of tartar, 1 teaspoonful; soda, 1/2 teaspoonful; 1 lemon or orange. Directions: Beat all the yolks and the whites of 2 of the eggs for the cake, and cream with 2 cups of the sugar, butter, etc. Bake in 4 jelly cake tins. Grate off the yellow of the lemon or orange, peel off the white and throw away (this part of these fruits is bitter); then squeeze out the juice and chop up the pulp; having beaten the whites of the other 2 eggs, mix and stir in the other cup of sugar, or sufficient to make of proper thickness to put between the layers in place of jelly. Remarks. —When lemons or oranges are used in making the cakes or the jelly, avoid the seeds. 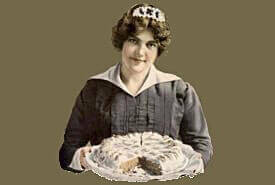 Fannie Farmer was famous for her easy-to-follow recipes that always made delicious cakes. Lemon Queens are small lemon cakes suitable for serving on any occasion. Ingredients: 1/4 lb butter, 1/2 lb sugar, grated rind 1 lemon, 3/4 tablespoon lemon juice, yolks 4 eggs, 5 oz flour, 1/4 teaspoon salt, 1/4 teaspoon soda, whites 4 eggs. Method: Cream the butter, add sugar gradually, and continue beating. Then add grated rind, lemon juice, and yolks of eggs beaten until thick and lemon colored. Mix and sift soda, salt, [and flour]; add to first mixture and beat thoroughly. Add whites of eggs beaten stiff. Bake from twenty to twenty-five minutes in small tins. 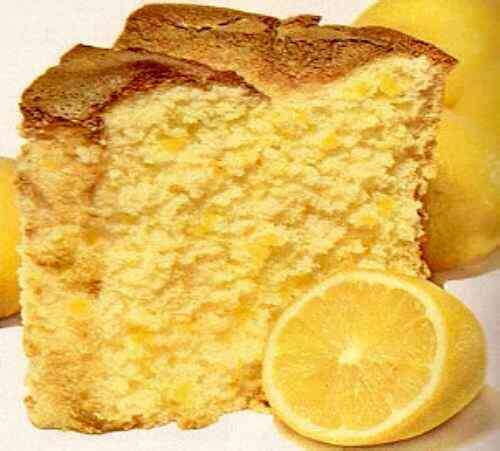 Victorian England was noted for its delicious lemon cakes that were often served at tea time and special luncheons. Ingredients: 10 eggs, 3 tablespoonfuls of orange-flower water, 3/4 lb of pounded loaf sugar, 1 lemon, 3/4 lb of flour. Method: Separate the whites from the yolks of the eggs, whisk the former to a stiff froth; add the orange-flower water, the sugar, grated lemon rind, and mix these ingredients well together. Then beat the yolks of the eggs, and add them, with the lemon juice, to the whites, etc; dredge in the flour gradually; keep beating the mixture well; put it into a buttered mold, and bake the cake about an hour, or rather longer. The addition of a little butter, beaten to a cream, we think, would improve this cake. Seasonable at any time. Homemade dessert cakes were always a popular item in church-sponsored books like this one from St. Andrew's Church, Quebec, and these are some of the best. 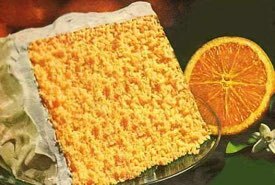 Lemon cakes such as these were enjoyed in Canada during the late Victorian Era. One-half cup of butter creamed well with one and a half cups of sugar, stir in the yolks of three eggs and one cup of milk; two teaspoonfuls of baking powder sifted with three cups of flour and added alternately with the whites of the three eggs beaten to a stiff froth. The creamy lemon filling is what makes this moist lemon cake recipe so special. One-half cup butter, two cups sugar, one cup sweet milk, three eggs (yolks and whites beaten separately), three cups flour, three teaspoonfuls baking powder. Filling: One cup sugar, two teaspoonfuls butter, two eggs, and the grated rind and juice of two lemons; mix all together, and boil to consistency of jelly. Spread between layers, and dust powdered sugar on top. —Mrs. C. H.
Yolks of three eggs, and one cup of sugar, well beaten; one cup of flour, one heaped teaspoon of baking powder; about one-half cup of water, a little salt, whites of three eggs, well beaten. Now, you can make the delicious dessert cakes once made by chefs in the White House to serve in your own home. Three teacupfuls of sugar, one cupful of butter, five eggs, a level teaspoonful of soda dissolved in a cup of sweet milk, four full cups of sifted flour and lastly the grated peel and juice of a lemon, the juice to be added the very last. Bake in two shallow tins. When cold, ice with lemon icing and cut into squares. Into one level cup of flour put a level teaspoonful of baking powder and sift it. Grate off the yellow rind of a lemon. Separate the whites from the yolks of four eggs. Measure a scant cup of white granulated sugar and beat it to a cream with the yolks, then add the grated rind and a tablespoonful of the juice of the lemon. Stir together until thick and creamy; now beat the whites to a stiff froth; then quickly and lightly mix "without beating" a third of the flour with the yolks; then a third of the whites; then more flour and whites until all are used. The mode of mixing must be very light, rather cutting down through the cake batter than beating it; beating the eggs makes them light, but heating the batter makes the cake tough. Bake immediately until a straw run into it can be withdrawn clean. This lemon sponge cake is especially nice for Charlotte Russe, being so light and porous in texture. These old fashioned lemon cake recipes were written by the world's best-known cookbook authors from previous generations. Now, you can make homemade dessert cakes that are especially delicious, just as though Grandma made them. Lemon cakes have been popular since the days of Queen Elizabeth the First, and they are still loved for their taste and enjoyed on any occasion. I've tasted many cake-mix cakes over the years, but I believe an old fashioned homemade cake baked from scratch and flavored with the juice and rind of a real lemon is still the best for its freshness of flavor. Bake a special treat for yourself and your loved ones today.